Currently booking clients with 2019 due dates. Contact me for a free consultation. “The natural birth of my daughter was a beautiful experience. Marie really made it possible. Before I went into labor, Marie taught me how to focus on sending positive signals to my brain before pain signals could get there. Throughout labor, I used the counter-pressure technique a lot, and she was there for me 100%. She always knew what to suggest to help me manage the pain and focus on the positive, and she helped my husband to know exactly what he needed to do also. The most amazing technique she offered was the music for each stage of the birth. The music guided my body to progress toward having my daughter and helped me focus on the happy ending rather than on the contractions. It was amazing!” Jeanne A. My hands- that have comforted and supported over 130 laboring moms. My heart- that loves what I do and believes in your ability to give birth. My mind- that has researched childbirth intensely and has a firm understanding of the benefits and risks of most birthing scenarios. As a woman who has given birth 4 times, and as a doula who has supported hundreds of women in the births of their own children, I truly understand the unique support a laboring woman desires and deserves. Your child’s birth will leave a lasting impact on your life, and my goal is to help ensure that those memories are empowering, positive, and uplifting. I view birth as a normal, healthy experience that should empower women and bring families closer together. I strive to prepare both parents to enter their birth feeling supported, educated, confident, and excited. I combine all I know from my doula expertise, Music Therapy degree, and personal experiences to provide my clients with the highest quality of care and support. As one of the most experienced and educated doulas in Boise, I know I can help you have a great birth. Looking for a doula in your area? 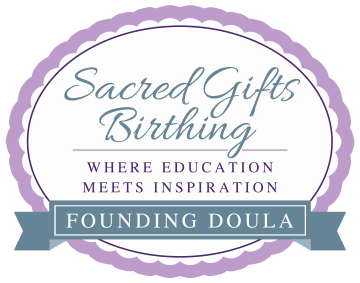 Check out my Sacred Gifts Doulas from all over the country. These women are all in good standing with their doula organizations (meaning they take their profession seriously and are great at what they do! ), and they are also equipped and eager to help you understand the spiritual and scientific aspects of giving birth.